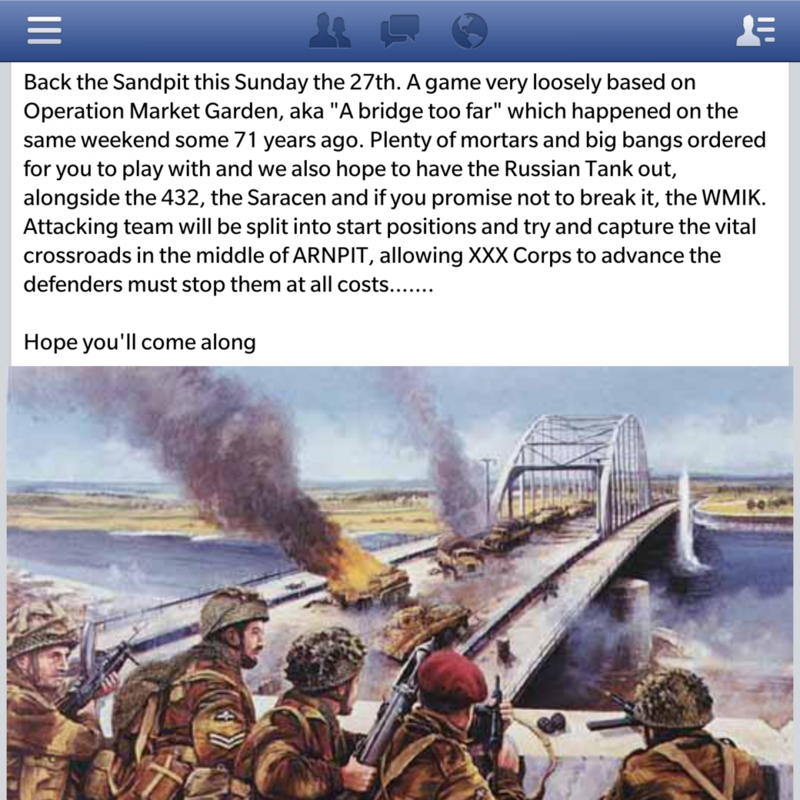 Me and Jedi are meeting up down at the sandpit in Kent this coming sunny Sunday for a game loosely based on the events that took place 71 years ago. Would be great to meet some of you there for some plastic death by pew pew pew. Be sure to ask everyone to wash there bbs before use. Save u a job after. Know what you mean about wanting use your own RIF, I missed out on some skirmish days in the summer because I did not want a rental gun. Regret that a little now because I could have had a few more days out.